The modal dialogs are a very nice feature, easy to use and well integrated in the Apex framework. One thing that annoys me is the vertical sizing of the dialog window. Normally I will create a page as a Modal dialog. When running it I notice that the window is way too high or not high enough. I go back to the builder and enter a number of pixels for the height and look what the result is. I repeat this process a few times until I am satisfied. When the page is changed this may change the height of the page, so… :-(. This is typically one of these boring jobs I like to automate. 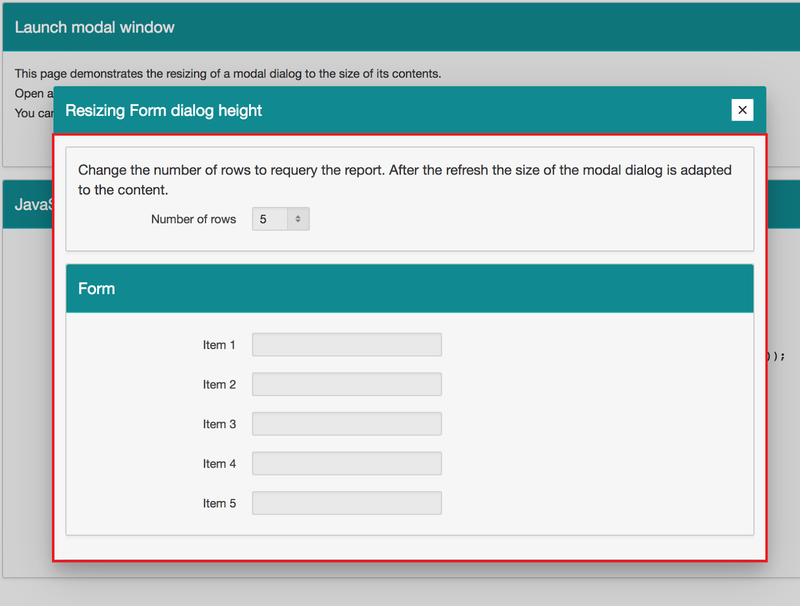 So I examined the structure of the Apex modal dialog. One thing that is counter intuitive is that the header of the modal dialog is part of the calling page. Only the red part is generated from the modal dialog page. The height of the modal window is defined in the calling page. This is the reason why you have to refresh the calling page when you change the height of the modal dialog. Inside the red square the height is determined by three div elements: dialog header, dialog body and dialog footer. 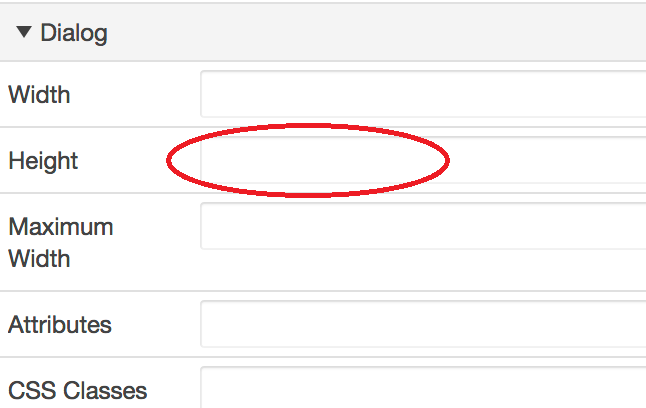 This code can be called in the On page load section of the dialog page. It is also possible to call the function in a Dynamic Action that changes the height of the dialog content. Two examples of this behavior can be seen in the example page here. You can change the number of rows or number of items and the dialog is resized automatically.